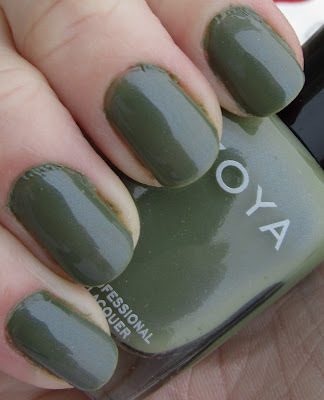 I ordered the Zoya Intimate collection as soon as it came out - what gorgeous colors! I decided to keep four for myself and give two away in the 300 Follower Giveaway - which was a very hard decision to make as to which to keep and which to give, since I loved every single one of those colors. Here is one of the colors I knew I would need to keep right away. Gemma is one of the ones I plan to order from this collex if my Ulta doesn't end up getting it. 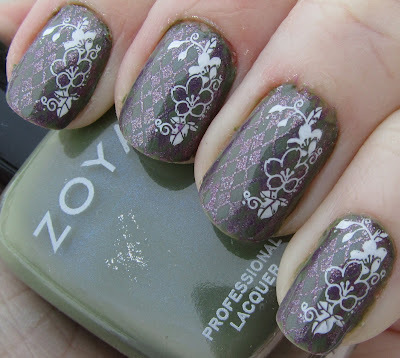 I like the stamping you did!